Laser eye surgery is a collective term used for several eye surgeries that are usually used to correct different eye defects particularly those related to how the eye focuses light. The common types of laser eye surgery include Lasik, PRK, Lasek and EpiLasik; all the four surgical procedures use the same type of special laser known as the excimer laser. 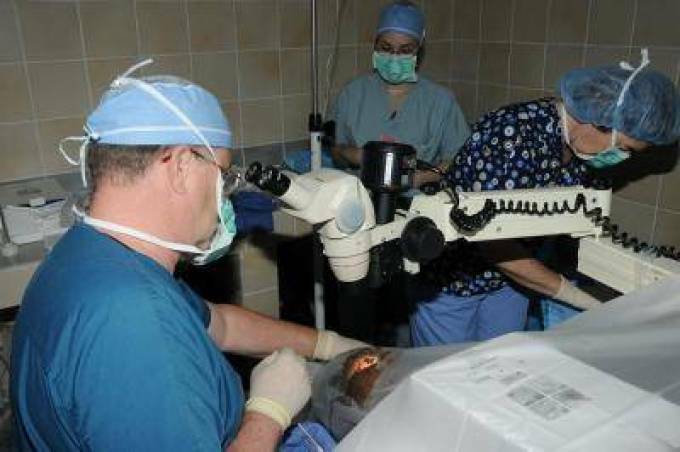 This special laser is used to reshape the cornea which in turn corrects the various eye defects. However, the specifics and technicalities are different for each procedure. Now, after undergoing an eye examination, your ophthalmologist will determine the best laser eye surgery procedure that is best for your condition and one likely to produce the best possible outcomes. • Lasik: This term stands for Laser in-situkeratomileus is which is the most popular laser eye surgery. It is used to correct vision in people experiencing nearsightedness, farsightedness and astigmatism. It works by reshaping the cornea to ensure that light going through it is correctly focused on the retina. If your eye doctor recommends this procedure, you will have to undergo a series of tests which include measuring the cornea thickness, pupil dilation, cornea mapping, refraction and air pressure. This procedure involves the insertion of a femtosecond laser necessary for creating a thin flap in the cornea which is then peeled back and the cornea beneath is reshaped using a different laser so that it can properly focus light onto the retina. Some patients may request for mild sedation but the process takes at least ten minutes to complete. • Photorefractive keratectomy (PRK): Unlike Lasik where the eye surgeon creates a flap of the cornea tissue, this method involves the removal of the outer layer of the cornea which exposes the area to reshape. The fact that this procedure tends to be more elaborate makes it a perfect choice for people with thin corneas or those who suffer from chronic dry eyes. Patients who undergo this procedure take longer to heal and usually take medication in the form of eye drops to promote healing and deal with discomfort associated with the procedure such as blurring and other post-surgical side effects. With this procedure, it takes about six months for a patient to attain absolute peak acuity and clarity. • Laser epithelial Keratomileusis (LATEK): It is almost similar to Lasik and PRK but it begins with the application of alcohol to the cornea epithelium which allows the cornea cells to loosen making it easy for the surgeon to reshape the stroma without with the excimer laser. The surgeon can then replace the epithelial cells; this means that the patient has to wear special contact lenses for three to four days to aid in the eye’s healing process. • Epi-LASIK (Epithelial laser in Situ Keratomileusis): Unlike Latek, there is no alcohol used in the process and involves the creation of a thinner flap on the epithelial tissue. Since the stroma has to be reshaped, the healing process is similar to that of Latek. You however do not have to make tough decisions concerning the procedures alone, let the eye doctors help you. Lasik Surgery Phoenix is better and they replace the hand held blade with the computer guided laser. If you want to know more info: http://arizonalasik.com.